Bali Souvenior Shop This new multiple select shop ,Ubud Premium in Kuta has various items from the 8 popular stores in Ubud such as TRUTH nad Jepun Bali. 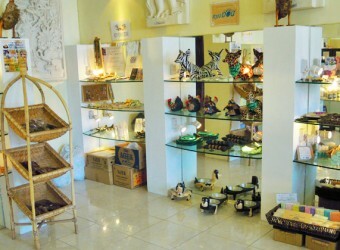 They have many perfect itemsu as souvenirs of Bali such as soap, salt and Gamelan Balls. If you don't have a chance to visit Ubud, but want to buy an souvenir of Ubud, this is the perfect spot to go! The inside of the shop is well organized, so you can take a time to look.